The event is free. Please arrive 60 before performance time. Seating is limited, and available on a first come basis. 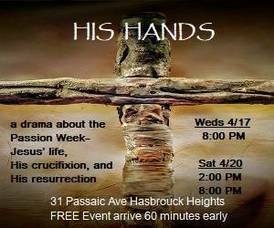 Add to My Calendar 04/17/2019 8:00pm 04/17/2019 9:00pm America/New_York "His Hands"